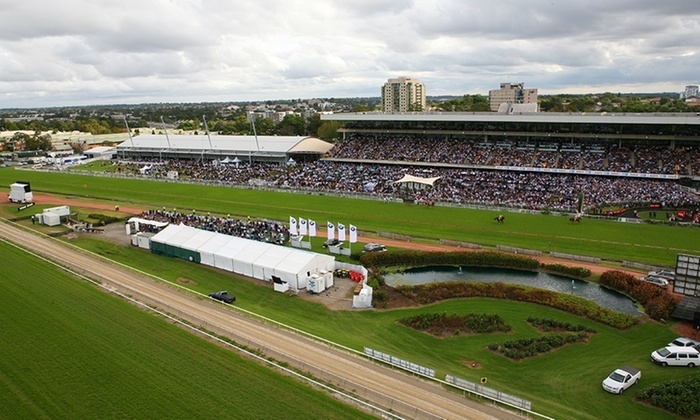 Sydney's Rosehill Racecourse will conclude its 2018 autumn carnival this weekend with an impressive lineup of races. There will be eight races of Group 3 and above, so some of the finest in NSW will be out for a gallop on Saturday, March 31. Rosehill will not be wasting any time on meaningless preliminaries | Free Bets. The first race will be the Group 1 The BMW, or, as they might prefer us to call it, the H E Tancred Stakes. It covers 2400 metres under weight-for-age conditions, making it the premier distance race for the Rosehill autumn carnival. The race was won last year by Jameka from Humidor and Exospheric. This year's field has Melbourne Cup winner Almandin, but Darren Weir's Gailo Chop would have to be considered the favourite. Almandin is a tough one to pick. The eight-year-old German does not do much racing and he has won nothing other than a Listed race since his win in the 2016 Cup. Gailo Chop on the other hand, recently took the post in the Group 1 Ranvet Stakes (2000 m) at Rosehill, so the only question is if he has had enough rest. Chris Waller plans to field Libran and Who Shot Thebarman. Eight of the 10 horses in the field have won Group 1 races. There Is Aus-tralian Cup winner Harlem and Single Gaze in addition to the ones men-tioned earlier. Next up is another Group 1, the 2000 metre Vinery Stud Stakes, or the Storm Queen Stakes, if you prefer. It is run under set weights and is restricted to three-year-old fillies. It was won last year by Montoya's Secret from Nurse Kitchen and Harlow Gold. This year's field will include top liners, such as Aloisia, Alizee and several others. The Group 2 Tulloch Stake (2000 m) is one of two Group 2 races for the meeting. It is the equivalent of the Vinery Stud, but for the fact that it is for the male three-year-olds. Jon snow won in 2017, from Prized Icon and Captain Duffy. Some of the horses from this race will go on to try the Group 1 Australian Derby the following week. The last horse to fill a Tulloch - Australian Derby Stakes double was Starcraft in 2004. The other Group 2 at Saturday's Rosehill Racecourse meeting is the Emancipation Stakes (1600 m). Like the Vinery, it is restricted to female horses, although it is not age-limited. Zanbaugh won from Daysee Doom and Dixie Blossoms in 2017. Fillies and mares that do well here might be seen at Randwick for a jump in the Group 1 Queen Of The Turf Stakes at Royal Randwick on April 14. Group 3 races at the meeting will be the T L Bailieu Handicap, the Doncaster Prelude, Star Kingdom Stakes and the Neville Sellwood Stakes. At the time of final acceptances, the Rosehill track was rated a soft 5, with the rail in the four-metre position for Saturday's action. It may dry out, but not from sunshine, as the Bureau of Meteorology is calling for cloudy days for Thursday, Friday and Saturday.